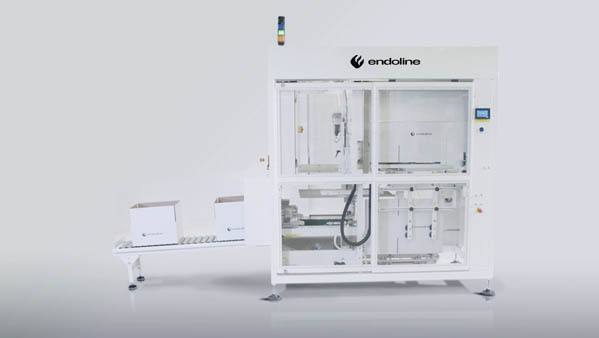 The Endoline 251 case erector has been designed to suit a wide variety of case sizes, styles and quality. The unique dual opposing vacuum case opening mechanism ensures that each case is positively opened from both sides, ensuring efficient and reliable opening of cases and overcomes problems associated with stiff board and glue migration from the manufacturers joint. The 251 case erector erects up to 10 cases per minute then seals the base with self-adhesive tape for feeding into a case packer or a hand packing station. This case erector has been designed for customers where space is of a premium, as the machine is only 1 metre wide by 2 metres long. 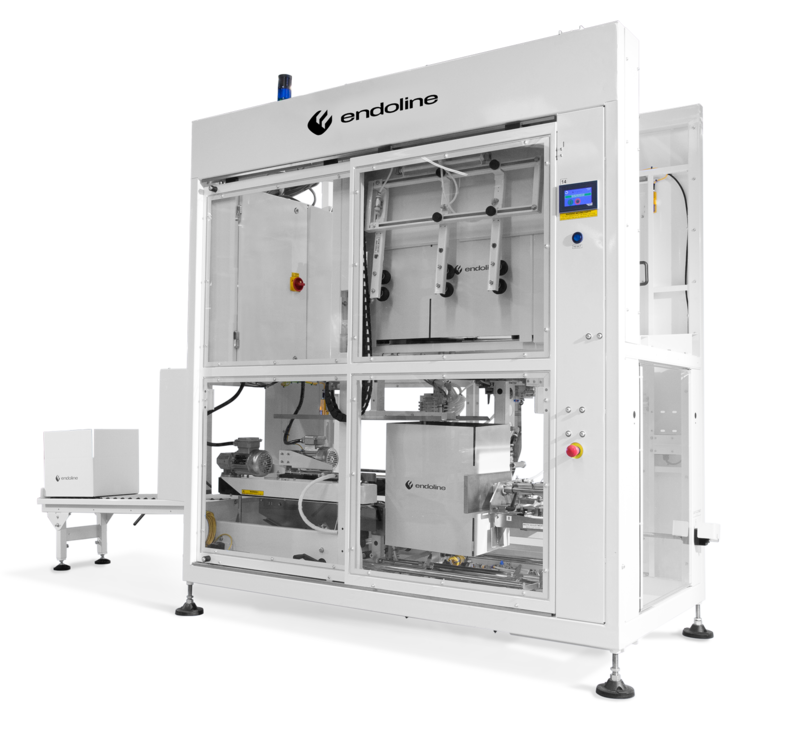 This offers customers a small footprint machine with the ability to integrate into a full inline packing system. The type 251 case erector can handle cases between 200-600mm length, 150-400mm width and 175-600mm height.